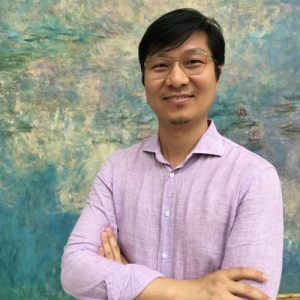 Dr. Gaoheng Zhang, Assistant Professor of Italian Studies, discusses ethnic essentialism, symbolic competition, and Italy’s longstanding juggle between globalization and localization. Can you tell us about your research on Migration and the Media? 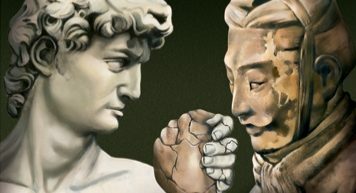 Previously, people tended to study Italy as an insulated cultural identity or geographical location; it was only about twenty years ago that scholars began viewing Italian diasporas as an integral component of how Italians are perceived, or perceive themselves to be. Around the same time, scholars began to study colonialism and immigration to Italy as crucial aspects of Italian identity. My work emerged from these scholarly traditions. I am particularly interested in exploring Italy’s global networks, specializing in media and cultural representations of Chinese migrants living in Italy, and in cultural studies of Italian and Chinese exchanges and communications since the 20th century. I was drawn to this field of specialty because it seemed to be a more anti-canonical way of researching Italian studies. In North America, Italian Studies used to be totally done by Italian natives, professors from various Italian cities lecturing on the literary canon. To research what is perceived to be at the fringes or margins of Italian identity and culture is something that I find very exciting. In my upcoming book, Migration and the Media: Debating Chinese Migration to Italy, 1992-2012, I seek to address why Italian and Chinese migrant media outlets, and journalists around the world, frequently use Chinese migrants in Italy to illustrate two major concerns in contemporary Italian society: economic globalization and migrant integration. Italians always seem to be juggling between globalization and localization. A majority of the Italian economy relies on small-to-medium scale production that tailors specifically to clients’ tastes and needs. “Made in Italy” products and symbols rely very much on local traditions, know-how, and artisanship. That kind of expertise is very localized and cannot really be outsourced. That is why some people think large-scale globalization is not feasible, or even desirable, for Italy. As a result, people often have the impression that Italy does not embrace globalization to the degree that other European Union countries want it to. The Chinese have always been perceived by native Italians and other groups as one of the most entrepreneurial migrant groups and, indeed, they are the group that has succeeded in out-competing Italian natives in certain sectors. The three largest sectors that most Chinese migrants in Italy are involved in are restaurants, import and export, and the textile and fast fashion industry. This last sector is particularly relevant in this issue of globalization and localization. Cover image on Time Magazine’s issue on “Italy vs. China” (Vol. 166, No. 23). The symbolic competition between “Made in Italy” and “Made in China” products is one of the most interesting phenomena to me. This issue has many facets to it. In my new book, I examine it in relation to the Chinese migrant-managed fast fashion industry in Italy. Many Chinese migrants in Italy label the garments they produce as “Made in Italy”, allowing them to be sold at higher prices to international clients. Of course, there are controversies surrounding this. Most pro-globalization Italian journalists claim these garments rightly deserve the label “Made in Italy”, since they were made on Italian soil and with Italian expertise (many Chinese migrants learned their sewing skills from Italian masters and artisans, and were often commissioned by Italian companies). Anti-globalization journalists and anti-Chinese journalists, on the other hand, argue that this practice essentially involves usurping the “Made in Italy” label by people who break the laws by making employees work 24-hour shifts, for example – a common practice in the demanding fast fashion industry. To give you the larger context behind this, after the Second World War, no other country in the West relied as heavily on the exportation of textiles and garments as Italy; it dominated this sector. But when China was accepted into the World Trade Organization in the early 2000s, China essentially replaced Italy in the garment industry. That is why the competition between “Made in Italy” and “Made in China” was particularly felt as an issue of globalization and localization gone wrong. Italians were cornered into being more conservative about promoting their products as “local art”, commonly emphasizing the local specificity of their textiles and garments. Furthermore, journalists often confusingly and erroneously perceived Italy’s Chinese migrants’ manufacturing to be the same phenomenon as manufacturing in mainland China that competed with Italy. One point of convergence in both the Italian and the Chinese migrant media is the concept of ethnic essentialism: the idea that only the Italian creativity is able to produce certain kinds of garments. Some Chinese migrant media outlets endorse the view that designing falls under the purview of the Italians, while Chinese migrants should focus on manufacturing. Where the media diverge is very case-specific. For instance, the Chinese migrant media tend to view Italian authorities and police behavior as top-down measures that don’t consider migrant sentiments, practices, or the larger mechanism of fast fashion. The Italian media, on the other hand, tend to focus on how Italian laws are equal for everyone, and that those who wish to live in Italy should obey the law. These are just some examples of media contestation surrounding Chinese migrants in Italy. My new book Migration and the Media: Debating Chinese Migration to Italy, 1992-2012 elaborates more on these ideas. Since 2016, I have been co-organizing a conference series held every two years in various locations around the world so that we can reach different audiences. The goal of this conference series is to provide a forum for scholars who are working at the intersection of European and Asian studies. It is an area of inquiry where people at the crossroads of various disciplines – social sciences, humanities, and the arts – can meet, discuss, and possibly forge new research directions. Our previous conferences at the University of Toronto (2016) and Stony Brook University (2018) were the largest that have ever been organized in the Italian departments of these locations. In two years’ time, I am planning to organize one in Beijing. Scholars who are interested in this area of inquiry are welcome to attend.